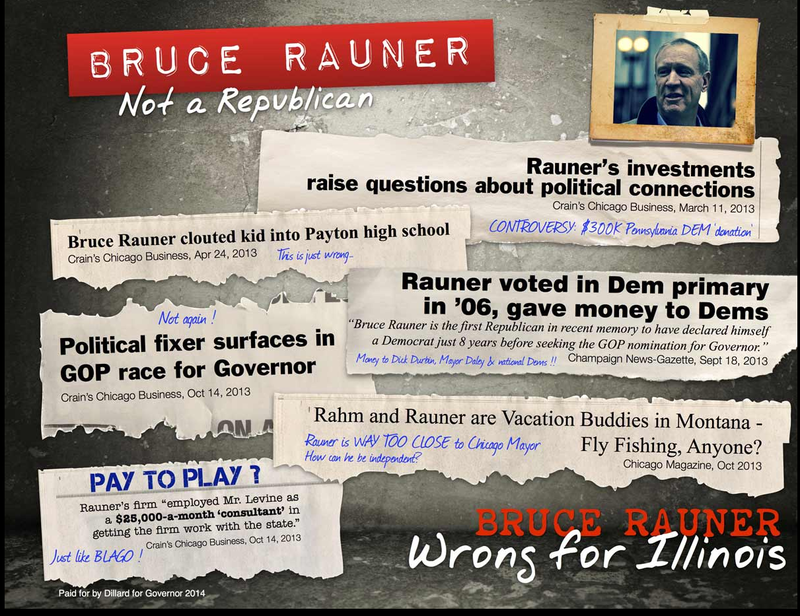 Dillard Launches "Bruce Rauner: Wrong for Illinois"
The Kirk Dillard for Illinois Governor's campaign put up a nice-looking anti-Bruce Rauner site that we came across this morning. Has this been up for a while? From a purely technical implementation, we've been told that the site has no 'tracking' set up where the Dillard campaign can drop internet ads on the visitors other web traffic. These so-called 'cookies' are (we're told) present on all the Bruce Rauner sites and signal a much more sophisticated web presence from the Rauner camp.